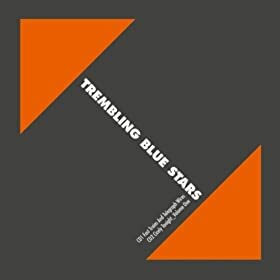 This month heralds the release of the final Trembling Blue Stars record, bringing to an end twenty odd years of sad, wonderful and amazingly heartfelt music from the mind of Bobby Wratten. His first band "The Field Mice" seem like a lifetime ago now but Bobby has always written with honesty, or at least that's the way his music has always come across. So then the final record, It's called "Fast Trains And Telegraph Wires" and will not disappoint. There's not a bad track on here and on "The Imperfection Of Memory" we are treated to the sweet vocals of a certain Cath Carroll. All in all a wonderful record to end a tremendous two and a bit decades of music, if indeed it is the end. I wouldn't put it past Bobby to pop up again in a different guise at some point. Taken from the album "Way Slow Volume 1" which is the first release in the Way Slow series of records on Lefse. The idea is to release a string of completely unique sounding records with artists pushing the boundaries of what they normally do or collaborations or... I'm sure you're getting the idea. "Way Slow Volume One" is released this week on cassette and CD. I'm led to believe that all physical items will be hand wrapped, stitched or any other weird activity they see fit before it is dispatched. This is a track from the new Xiu Xiu digital, all tracks from which can be downloaded from the artists website. This is the title track from the new Born Ruffians E.P. "Plinky Plonk", well almost the title track anyway. "Plinky Plonk" is a collection of tracks which didn't make it onto the Canadian bands last album which is a shame because I was a bit disappointed by "Say It" and much prefer the offerings on here. "Plinky Plonk" will be available on digital formats only from 2nd November unless you attend one of their shows in which case you can purchase a shiny compact disc. 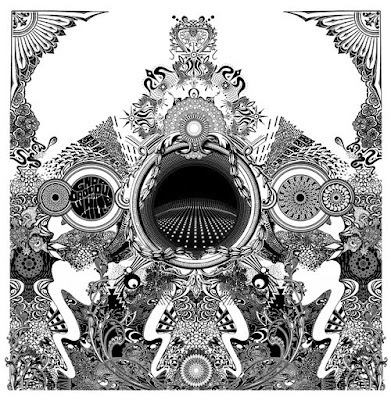 Taken from the Manchester band's new double vinyl album "God Drop Out With White Hills II". Check out that sleeve, it looks fantastic on the record. This is the title track from the "Star In The Sky E.P." Apparently this track was originally recorded by Opus 111 but I must confess to never having heard that version. This is one of three tracks on the "Two Trees" E.P. which is available as a limited edition CD. There are only 100 copies and all are signed by Kirsty Hawkshaw and made out of rather nice hemp paper. There is a rather more available digital version though for those who don't care about things like that however and that is out there now in all the usual places. Taken rom the new four track 7" single on What's Your Rupture which according to the label website has already sold out. Probably something to do with the fact that it came out about three months ago but I've only just found out about it. Taken from Anika's self titled debut album which was released through Invada last week on CD/Vinyl (including a rather stunning white vinyl pressing). Taken from the French band's new "Celebrate What You Can't See E.P. Taken from the Philadelphia bands enchanting third album "Autumn Again" which can be downloaded from the bands website HERE. There is also a vinyl version which I'm told is maroon in colour. This is the title track from the bands new four track 7" E.P. which is available now on Elefant Records of Madrid. I think it might be Mediafire and not you, but the file won't ever start downloading. A shame, as this looks like a great Fodder!